The reports are in and they downright scary: Cleaning your grill can leave behind wire bristles that, in rare cases, have injured consumers of meats cooked on affected grill grates. It’s tough to miss the news reports, with media like ABC News and the New York Times examining some of the potential injuries and threats from ingesting wire grill bristles. 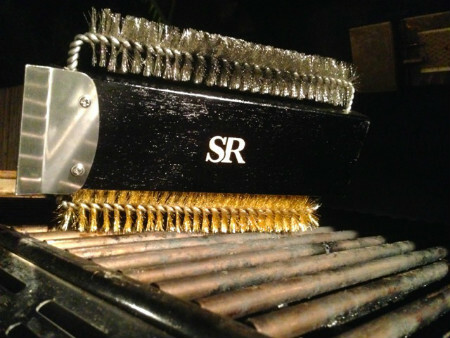 In conventional grill brushes, the bristles are squeezed upright into holes drilled in the wooden or plastic block that serves as the brush head. Normally, these bristles can withstand up to 5 pounds of pressure before pulling out. But over time the brush head can become waterlogged or warped, causing the metal bristles to loosen or fall out. To prevent this, we’ve twisted the metal bristles between two strands of stiff steel wire. The result: it would now take 25 pounds of pressure to pull the wire bristles loose. We previously covered the details behind the new grill brush—you can read more here. And the extra long handle keeps your arm away from the fire. 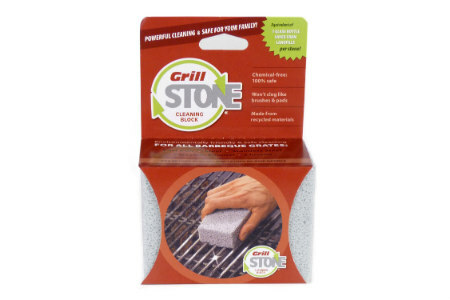 Safe for all grills, including porcelain enamel, cast iron, stainless steel and steel, the GrillStone® Cleaning Block is a chemical-free option that completely eliminates the need for bristles. This ingenious block conforms to shape of the surface to clean between the bars of the grate. Best of all, it is made from recycled materials, which would otherwise wind up in landfills. The Charboss scraper—made from hardwood—is entirely bristle-free. The more you use it to scrape clean your grill grate, then more the blade conforms to the shape of your grates. 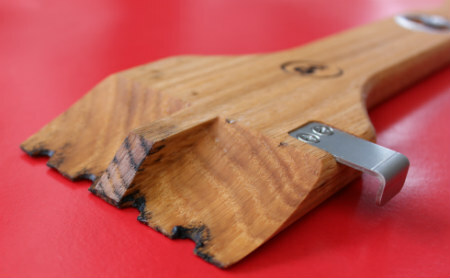 The embedded bottle opener is a nice bonus for easy bottle opening during your BBQ! 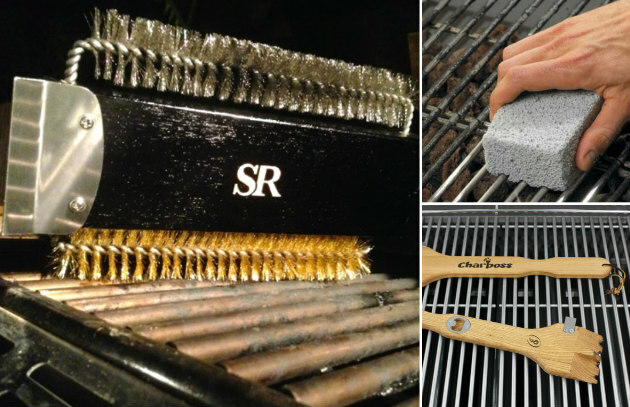 Do YOU have a strategy for cleaning your grill grate without the risk of stray bristles? Details and photos, please! Post them on the Barbecue Board or my Facebook page. Grill on!